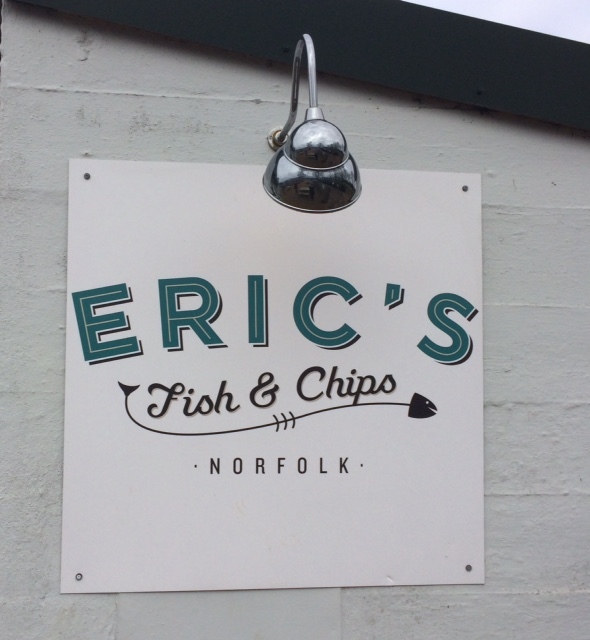 Eric’s Fish & Chips, located in the pretty village of Thornham on the North Norfolk coast, is home to some of the best fish and chips I’ve tasted. 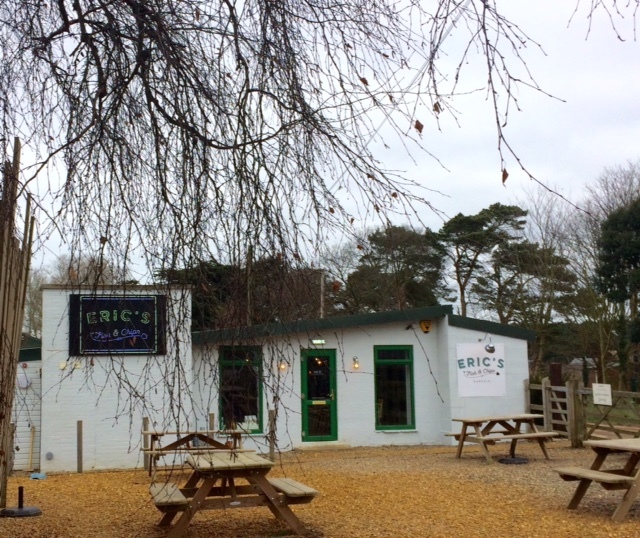 Well-known local chef Eric Snaith opened the restaurant in 2015 and it’s been a huge success with locals and visitors alike. 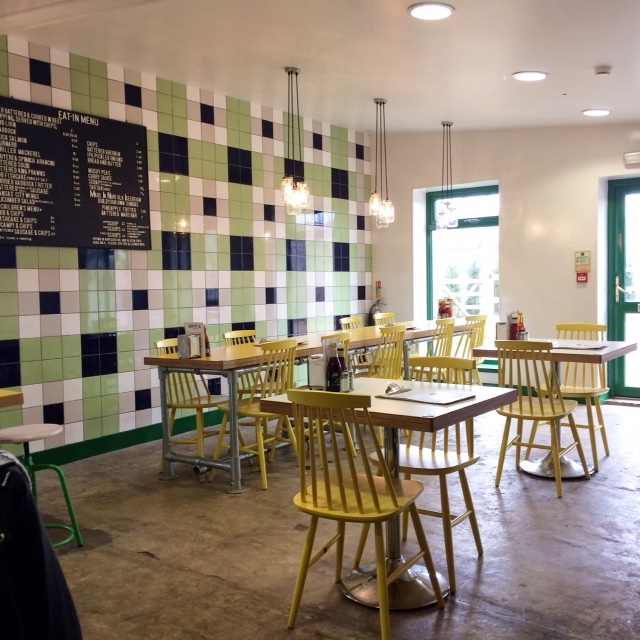 The minimalist décor is bright, cheerful and modern with a nod to the fish and chip shops of yore. 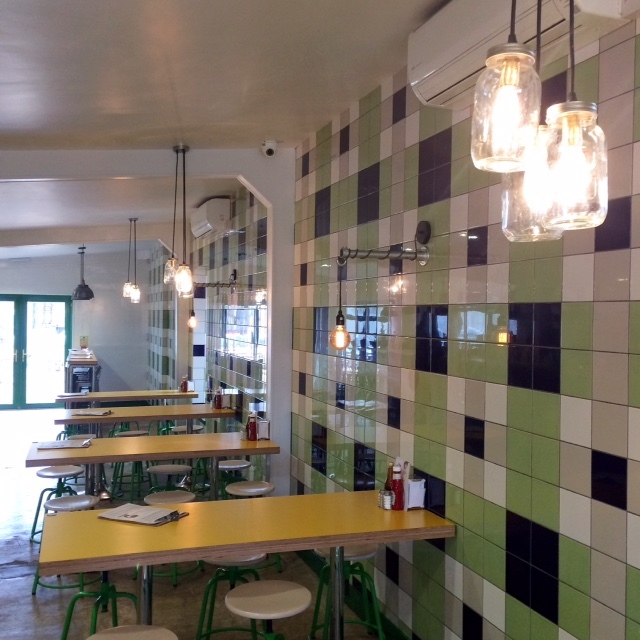 Concrete floors, multi-coloured wall tiles, rustic jam jar lights as well as stools, chairs and tables with hints of vibrant yellow and green all add to the fun and welcoming atmosphere. The focus is on local, seasonal produce… from the sustainable MSC-certified fish to the potatoes (there is even a sign indicating the potato of the day). 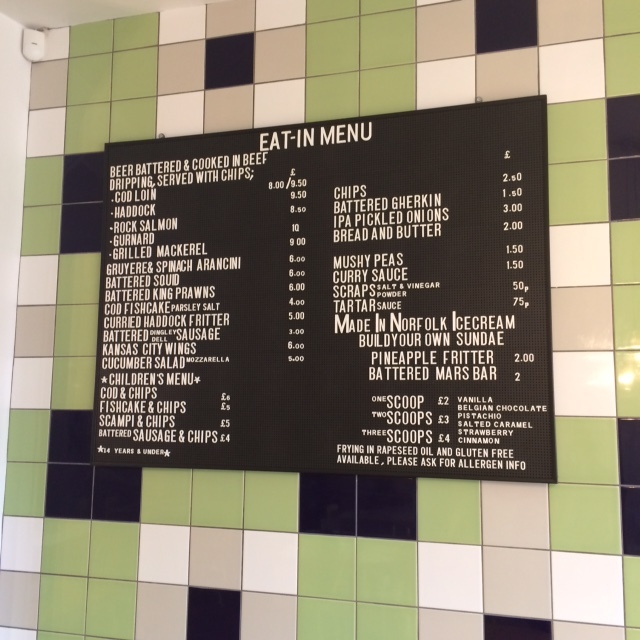 The menu is a modern take on the traditional chippy but still retains some of the old school elements, such as beef dripping used for frying both the fish and the chips. However, the menu is also influenced by contemporary European cuisine so you’ll find items such as gruyère and spinach arancini. In fact, the menu caters for pescatarians, vegetarians and even those who simply prefer meat. 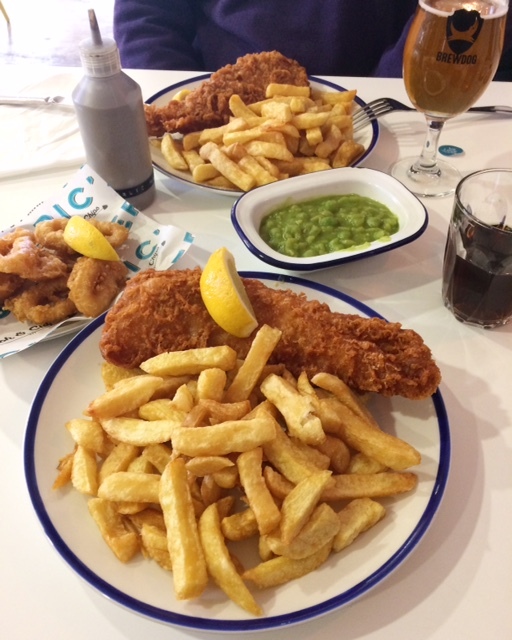 The fish and chips can be fried in rapeseed oil rather than beef dripping and there is a gluten free option too. Meat lovers can choose sausages, black pudding and chicken wings. A nice children’s menu, a variety of sides and tantalising desserts round out the choices. There is a great wine list with a selection of white, rosé, red and sparkling. 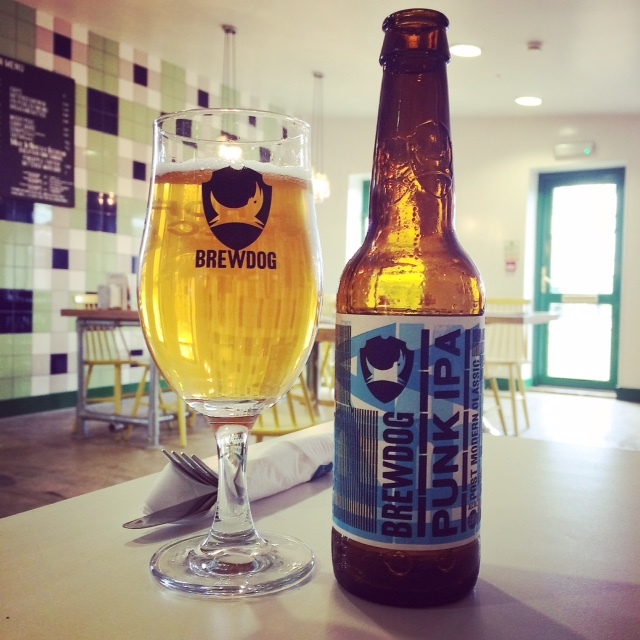 Brewdog craft beer and Aspall cider add to the variety of tipples to enjoy with your meal. There are non-alcoholic options too. Paulo and I popped in for his birthday lunch and enjoyed a veritable feast. The beer battered cod loin was light and crispy with a distinct, succulent flavour from the beef dripping used for frying. The dense and flaky cod was extremely fresh. The chips, also fried in beef dripping, were crisp on the outside and soft and fluffy on the inside. The 100% beef dripping took the fish and chips to a whole new level with its sweet and meaty flavours. I realised that tartar sauce was an extra so I went back and paid for some. It was worth the additional cost as it was homemade and full of chunky, high quality ingredients that provided the right piquant contrast to the cod. 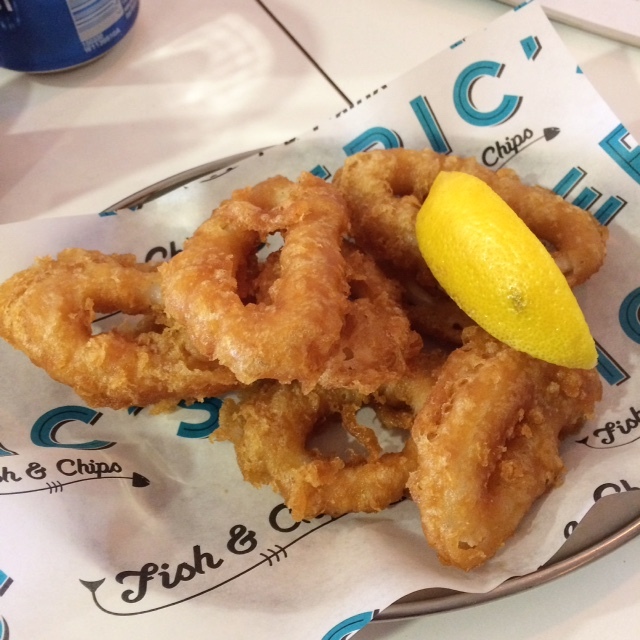 We couldn’t resist getting some tasty battered squid on the side. We simply used fresh lemon to enhance the flavour but there were also homemade condiments in squeezable bottles, such as seafood sauce, black garlic mayonnaise and spicy buffalo sauce. 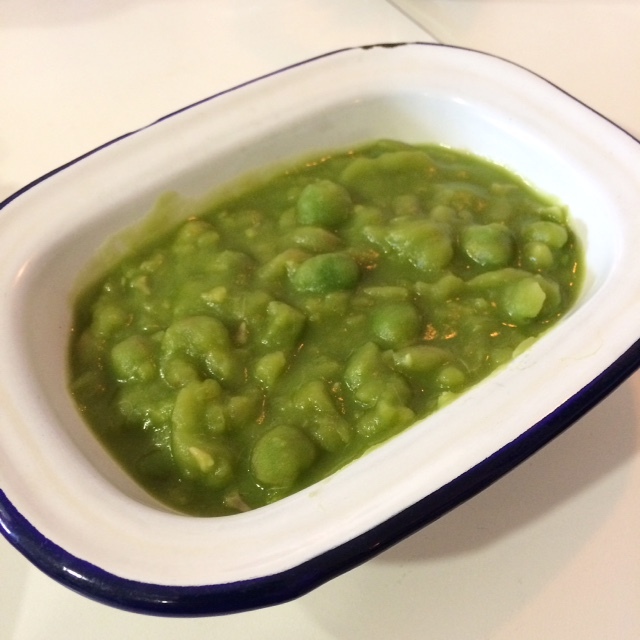 I had to have mushy peas as it’s the quintessential accompaniment to fish and chips. They were delicious with the perfect thick and stodgy texture. A generous portion too! 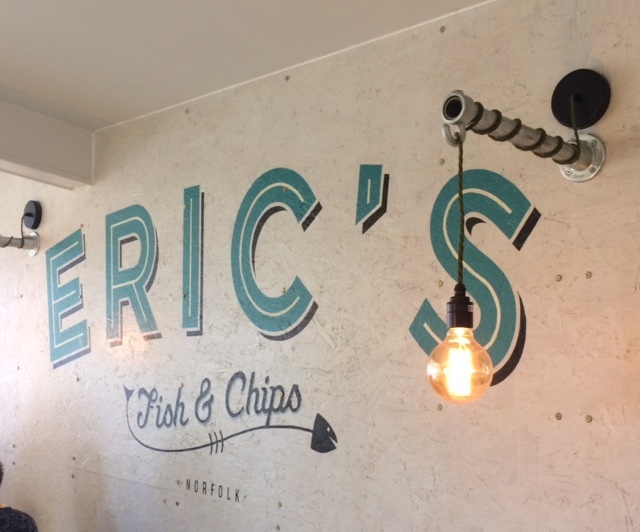 It’s always a good idea to pop into Eric’s Fish & Chips for lunch, dinner or even take away. 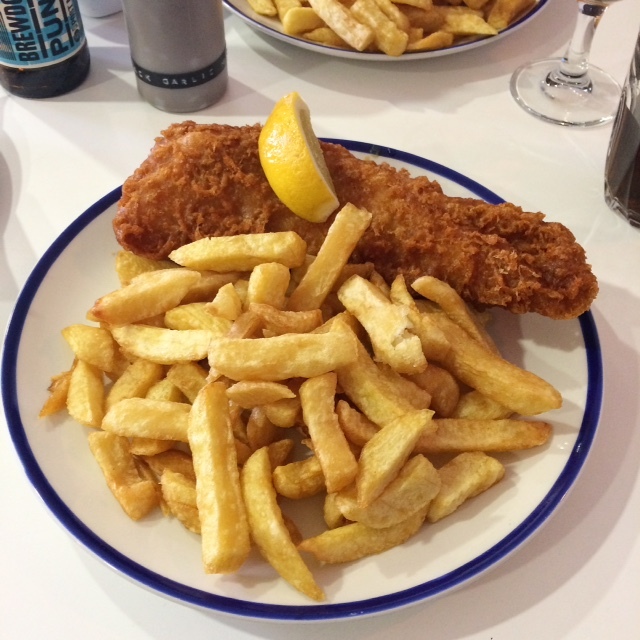 We can definitely see ourselves doing a day trip from Cambridge to Thornham just for a fish and chip meal. It’s definitely worth the drive and we can then enjoy a lovely walk along the Norfolk coast in this area of outstanding natural beauty. 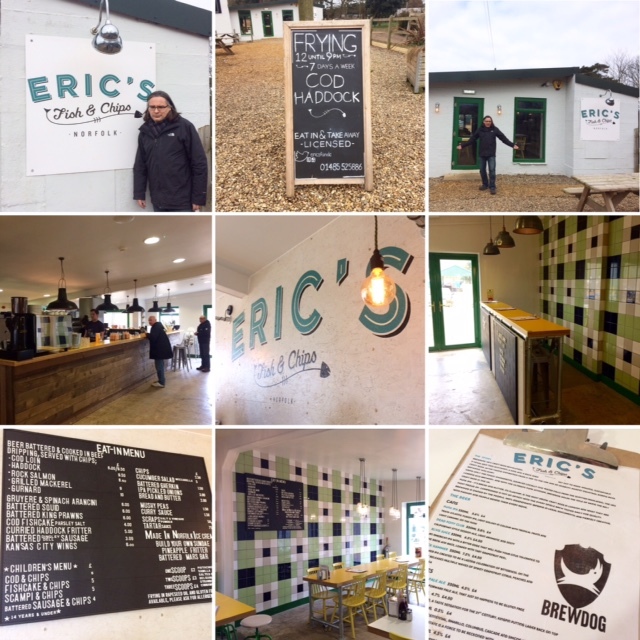 This entry was posted in Restaurants and tagged beef dripping, Brewdog, Drove Orchards, Eric Snaith, Eric's Fish & Chips, fish and chips, mushy peas, Norfolk, North Norfolk, Thornham, Titchwell Manor by One Two Culinary Stew. Bookmark the permalink.